When we think about metal detecting treasure, it is often old coins and metal relics that come to mind first. Those finds are always exciting, but imagine coming across something that is rarer and more valuable, and that, quite possibly, no human hands have ever touched. The discoveries that I’m talking about are meteorites. 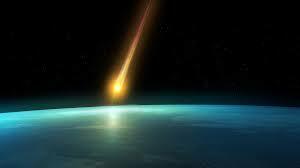 A meteorite is a fragment of rock debris that has fallen from space. They are pieces of asteroids, comets, or planets that endure the trip through the earth’s atmosphere and come to rest on the surface of our planet. Meteorites vary in size, shape and composition, and often look like regular rocks, but they are far from that! They are made of stone or iron-nickel metal, or some combination of both, depending upon where they originated. The higher the level of metal in their make-up, the more likely you will be able to find them with your metal detector. Meteorites have been found all over the United States, with over 1500 verified finds in the last 200 years. Almost every state has been home to a meteorite, but some western states like Texas, California and New Mexico have had meteorite discoveries that number in the hundreds. 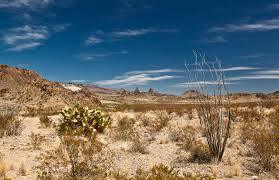 These states are good hunting grounds because of their expansive desert terrain. Although a meteorite could be found anywhere, the desert is the best place to start because they have little vegetation and low amounts of rainfall, making weather erosion less likely and digging through plants and brush unnecessary. If you live in a desert area, lucky you! You have a better opportunity to find a piece of the cosmos without leaving home. You may be wondering how to tell if you have found a real meteorite or just an old rock. Of course, one indicator is that your metal detector detects it, but there are a few other easy ways to determine if you have a meteorite in your hands. The first clue that you may have is if the rock is pitted or dimpled and feels heavy for its size, because meteorites are denser than earth rocks. Another test is to see if it is magnetic. 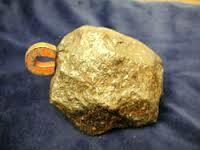 If it is a meteorite, it will be attracted to a magnet because of the iron content. You can also use an unglazed piece of ceramic tile to test your find. When you rub a regular rock on the surface of the tile, it will leave a gray, black, or red streak on the tile. A meteorite, however, will not leave a streak at all. Performing these simple field tests are good indicators, but in order to have 100% certainty, you can send your specimen off to a lab that has conclusive testing. The exhilaration you will feel when you detect an actual meteorite isn’t the only payoff, there may be a financial one as well. Meteorites are rarer than gold, diamonds and other precious metals and stones, and are often valued at $300 per gram. That means that even a small piece could be worth thousands of dollars! So next time you’re out detecting, don’t overlook the rocks that you come across. You could be detecting a fallen star! 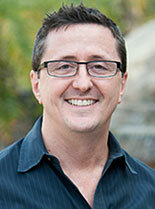 Gene Knight is the Director of Sales at Kellyco Metal Detectors and an avid treasure hunter.